Mia Underwood´s irresistible needle-felted animals will appeal to crafters everywhere. Using needle-felting techniques she shows you the easy way to craft 35 adorable creatures from scratch. 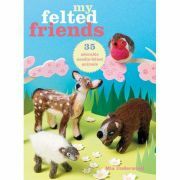 The felted friends can be given as toys to your children, as gifts to friends or simply used to adorn your home. Many can easily be made into attractive brooches or ornaments. 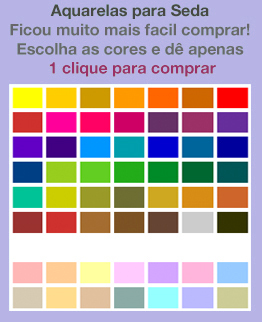 In chapter 1 you´ll find the most perfect pets, from the gorgeous pug puppy and curious cat to the super-cute hamster and rabbit. Create your own aviary in chapter 2 with the felted robin, sparrow and dove or opt for Charlie chicken or the teeny-tiny penguin. There is some wonderful wildlife in chapter 3, from the doe-eyed deer and Barry the badger to the furry fox and bear. In chapter 4, head into the wild for the super-cute lion and polar bear cubs, plus Zoe the zebra and the adorable baby elephant. The projects are designed for beginners and experienced crafters alike. As you follow Mia Underwood´s step-by-step instructions, you will be amazed at how quickly you can create something wonderful from your felting wool that will delight your children and impress your friends.